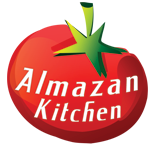 Today AlmazanKitchen wants to share wonderful Swiss dish recipe called Rösti. Stories says originally it was a Bern farmer’s breakfast, but now it’s popular all over the world! It can be served as side dish for everything or like a standalone breakfast! Just add some bacon, greens, good fats and you’re good to go! Easy and nourishing recipe made in primitive style in the fall Serbian forest. Cook handful of potatoes for 40-60 min then cool it down. Chop leek and grate potatoes. Preheat the pan, grease it with oil. Toss leek and then grated potatoes into the pan, spread evenly and fry until golden brown. Flip the side, add 1.5tbsp. of butter and fry another side until golden brown. Transfer Rosti from the pan, toss bacon in to the ban and fry it until golden brown. Serve all together, finish off with 1 cup of thick Greek yogurt and chopped chives.